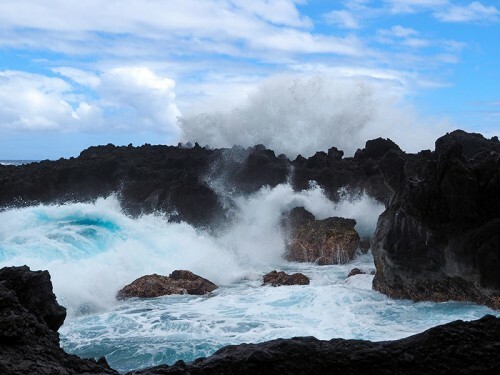 The Hawaii scenic gallery showcases a variety of landscapes, seascapes, sunrises and sunsets, landmarks, aerial drone photography and videography, and even some underwater scenes including coral, fish, turtles and seafloor landscapes. Although most of the images in this gallery are from Maui, there are also images from Oahu, Kauai, Big Island, Lanai and Molokai. Many of the shots are taken with a wide angle lens to incorporate as much of the scene as possible. You may also note in some of the images special effects creating watercolor or oil paint like appearance. Some of the images render better in black and white and are shown as such. Some of the images are well known locations while others may be of areas less recognized, or not recognized at all. Either way, you can enjoy some of Hawaii’s extraordinary scenery in the gallery.